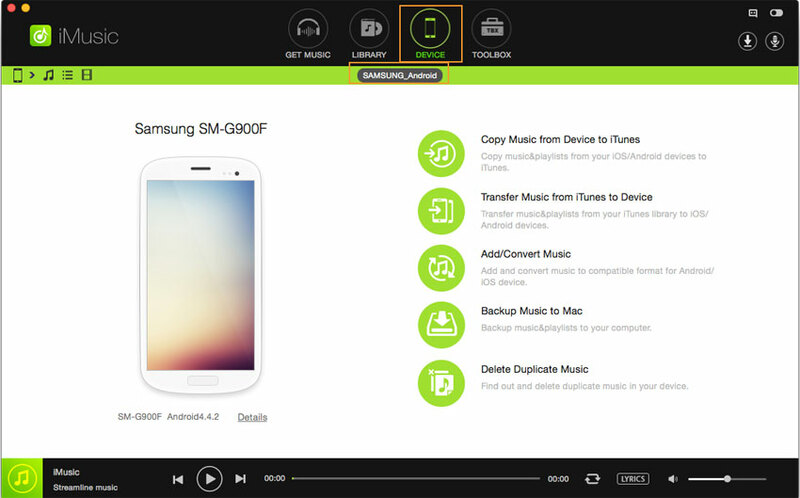 One of the outstanding features of iMusic is that it allows users to transfer music from Android phones to iTunes Library for better management. The transferring process is very simple and fast. 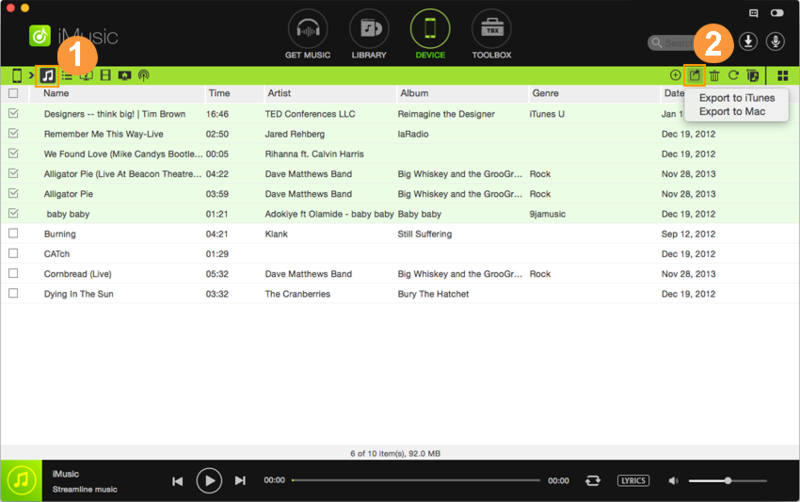 First, install iMusic on your Mac or Windows PC. Use a digital cable to connect your Android phone with your computer. Once connected successfully, you can see the Android phone appears in the “DEVICE” window. If the device does not appear, please enable the USB debugging on your phone. 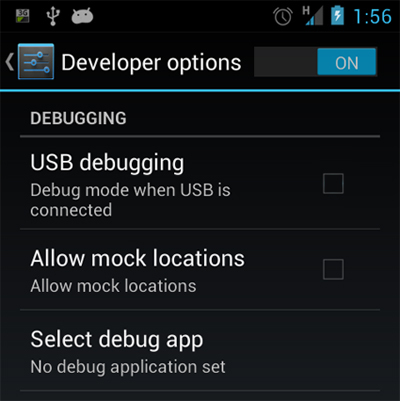 Generally speaking, the USB debugging option is in “Settings” > “Developer Options”. Click “DEVICE” to show the connected device. Solution 1. 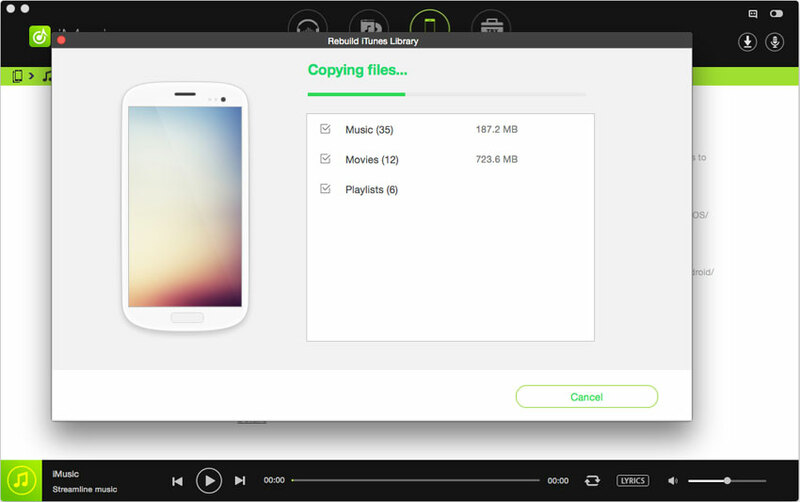 If you want to transfer all songs from Android device to your iTunes Library, click the option "Copy Music from Device to iTunes". After then, the all the songs, music video, videos and more are scanned for you. Check the needed files and click "Transfer" to transfer them. Option 1. Check the songs on the Android device you need and right click on the window, choose “Export to” > “Export to iTunes Library”. Option 2. 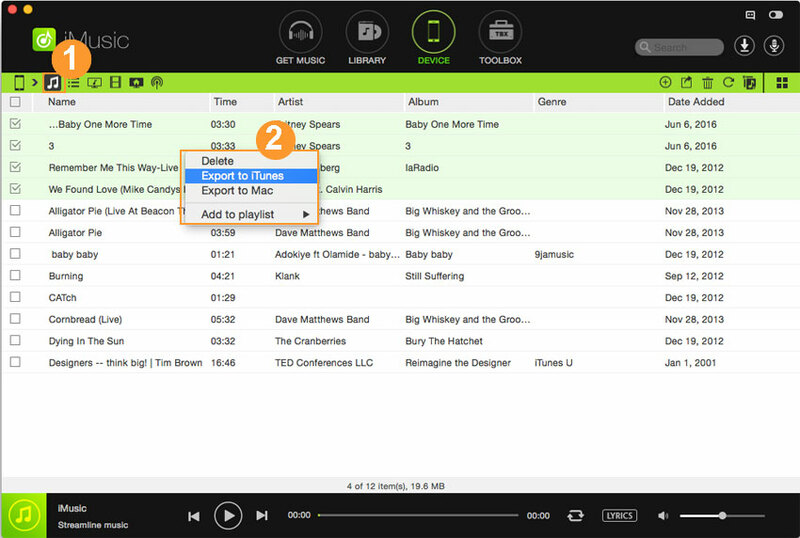 After checking the needed songs, click the Export icon on the top right and choose “Export to” > “Export to iTunes Library”.